Hungry? Ever heard of ‘The Kati Roll Company’ ? Well neither had I before Tuesday, but it is a name I will never forget. The word ‘Kati’ literally translates into skewer and ‘Kati Rolls’ are just that. This restaurant offers a vast array of authentic Indian street food made of skewer-grilled ingredients, all of which are marinated daily and served in either a flat paratha bread or roasted, whole wheat roti bread. The menu caters for both meat eaters and vegetarians and with such reasonable prices, you really are spoilt for choice. 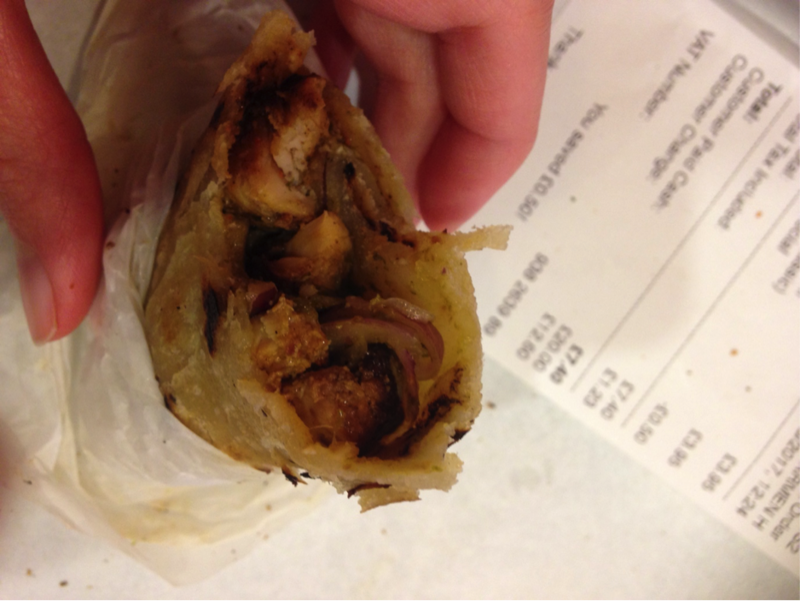 Personally, I opted for the ‘Chicken Tikka Roll’ (£3.95 each or two for £7.40) which consisted of grilled chicken cubes marinated in yoghurt and an explosion of spices which burst in my mouth. Obviously, I went for the two for £7.40 option- it would have been rude not to- and was left feeling very satisfied and not wanting another thing! Of course, you might think I am being biased, but my friend opted for the ‘Unda Aloo Roll’ – a vegetarian option of spicy potato patty- which was equally as tasty and devoured just as quick as mine! However, if the smell of this delicious food isn’t enough to tempt you in from the streets, then the décor is another one of the restaurant’s best selling points. 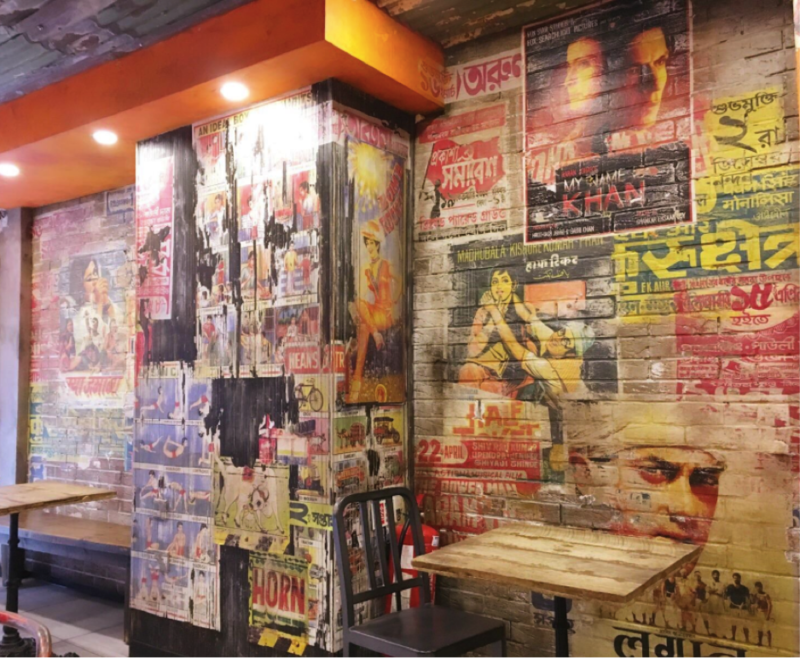 The walls are collaged with vintage and half-effaced Bollywood film posters which allow you to immerse yourself in Indian culture as you eat your food. With a minimalistic arrangement of chairs, tables and wooden benches, the atmosphere is very relaxed and casual. As I looked around me, there were fellow students, families and suited and booted businessmen popping in on their lunch break. So I think it is fair to say that everyone is made to feel welcome and offered the chance to sample quality street food which stands out from other existing fast food chains such as: McDonalds, KFC or Burger King. The full address for the restaurant is: 24 Poland Street, London, United Kingdom W1F 8QL. It is located in a side street just off of Oxford Street and is a 5-minute walk from Oxford Circus Tube Station. 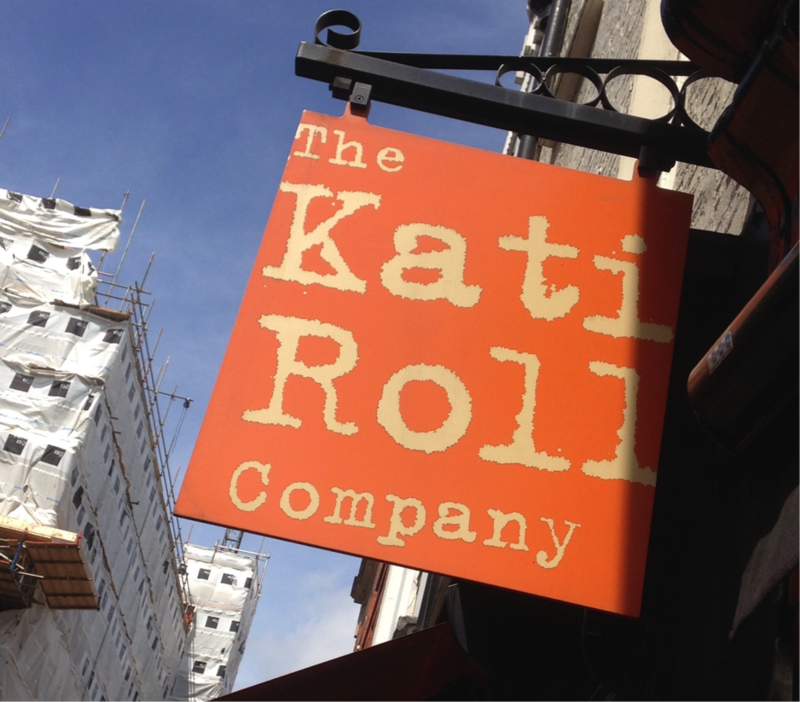 The Kati Roll Company can easily be missed due to its discreet location, but trust me, once you know where it is, you will return over and over again!